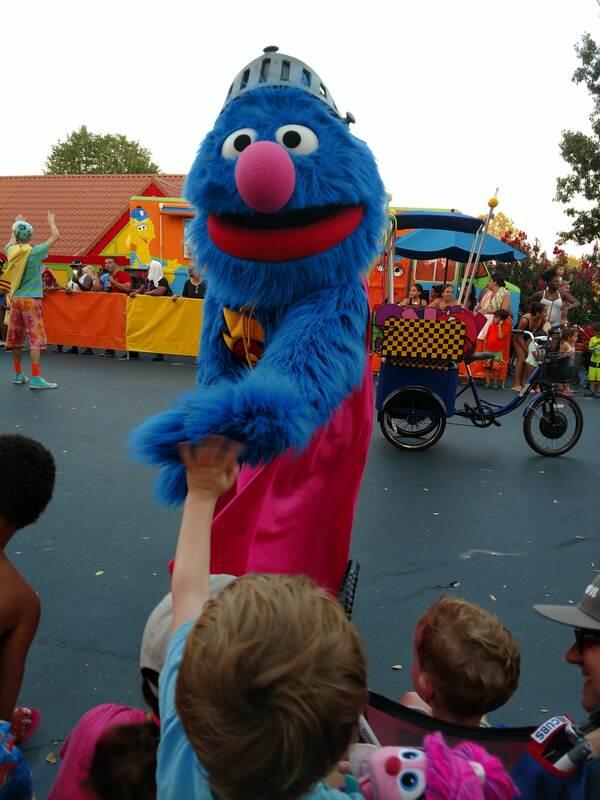 My family’s fresh back from Sesame Place – a Sesame Street theme park near Philadelphia – and I have some tips gleaned from my personal experience. May you find them useful should your family ever make the pilgrimage. 1. Don’t go if your daughter has infections in both ears. 3. A lot of nearby hotels have partnerships with Sesame Place. So, if you stay there, you can get discounts on park tickets, food, store purchases and more. Most also have shuttles that can take you to and from the park. That’s helpful because parking costs $20 per vehicle. 4. Have a plan for when your children lose it in line. This is a Sesame Street theme park. So there are a lot of 2-year-olds waiting for the carousel, and it only takes one breakdown for the emotional dominos to start falling. Have distractions ready for your kids. I loaded a bunch of Sesame Street books and episodes on my phone with Hoopla – free with your library card – and had it ready to stave off any meltdown. 5. Don’t go if you daughter has molars coming in on both sides. She already feels like a doublewide is erupting from her gums. Why would you torture her more? 6. Bring the wagon. Or stroller. Sesame Place isn’t as big as, say, Cedar Point. But it’s a lot of walking for a 3-year-old, so bring your vehicle of choice, unless you want to spend all afternoon lugging a toddler. 7. On busy days, you’ll want to get in line early for the Elmo the Musical Live and Magic of Art shows. When the park is packed, those auditoriums can fill quickly. 8. Pack food and water. The lines at restaurants can get lengthy, so have snacks – if not meals – stashed in your backpack. But be warned: Coolers larger than one square foot are not permitted in the park. 9. Don’t forget your swimsuits. Sesame Place offers a tsunami of water rides and play areas. You’re missing out on nearly a third of the park if you leave your trunks at home. 10. Seriously, check your kid’s head before you leave. For their sake and yours. Jason Lea has a son, daughter, and a full-time job at the Mentor Public Library. He uses his nonexistent free time writing about parenting for Northeast Ohio Parent magazine. You can tweet him @jasonmarklea. Or not. You're grown and can make your own choices. We are thinking of taking our toddler (16 months now) sometime this summer from Ohio. Do you recommend driving or flying? We drove it with a one-year-old, and I don’t regret it. Depending on where you’re coming from, it can mean six to eight hours in the car. How well does your child travel?